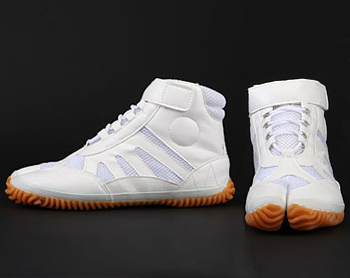 The original jikatabi sneaker and one of our most popular models. 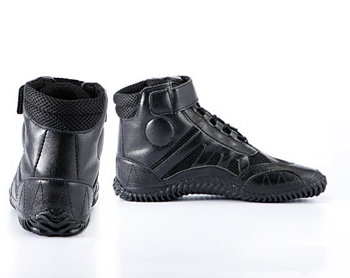 Combines the flexibility and balance of jikatabi with the form and fit of a sneaker. Comfortable, with a very grounded feel. Enjoying the flexibility and balance of jikatabi with the form and fit of a sneaker, this model is sure to get comments from everyone who sees them. 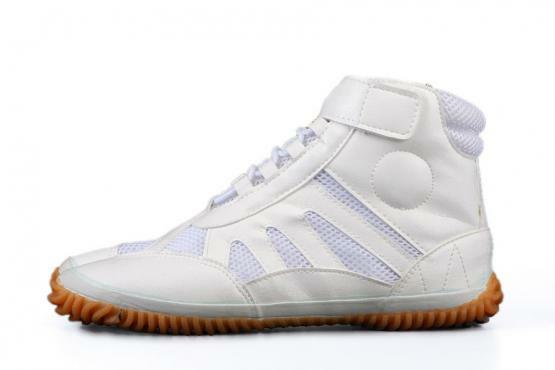 Extremely comfortable to wear and, without the cushioning of a sneaker, it has a very grounded feel. This is not really a running shoe, in spite of the name. 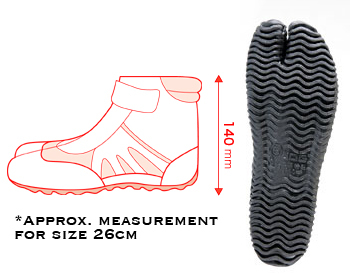 Grooved rubber, non-slip sole. 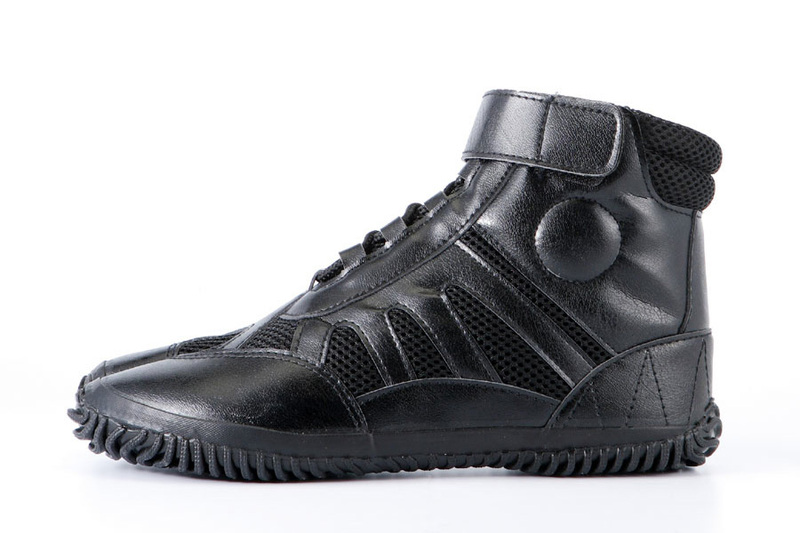 With nylon mesh for breathability and a strap covering the top of the laces that keeps them down and out of the way. 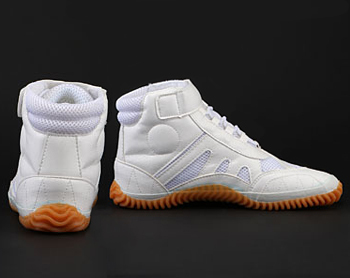 This is the best-selling lace-up jikatabi. Average rating of 4.5 from 6 customers. Shoes in the leather soft and really pleasant to carry(wear) in feet even, we would not leave them any more if we wanted. question is durability. I like them enough though that I see a new pair being shipped my way in the near future.